Neil Taylor – director at transport consultancy Integrated Transport Planning (ITP) – explains how making full use of Local Cycling and Walking Infrastructure Plans (LCWIPs) can pave the way to good quality cycle schemes at ground level. Last year saw the publication of the Department for Transport’s eagerly anticipated Cycling and Walking Investment Strategy. This has since been accompanied by guidance to local authorities on how they can help double cycling activity by 2025. While the availability of government funding for delivering walking and cycling network improvements remains a topic for debate, the guidance to councils appears sound. The guidance was developed by an expert advisory team, drawing on international best practice for designing safe, cohesive, direct and dedicated cycle route networks. The 40-page Local Cycling and Walking Infrastructure Plan (LCWIP) guidance advises councils on the process for making the investment case to deliver their network plans. The LCWIP guidance may provide ‘lightbulb moments’ for councils and political decision-makers pondering why urban highway capacity added in recent years has not ‘solved’ worsening traffic congestion and air quality. Scope – define where, geographically, an LCWIP makes sense and identify the key players. Evidence – understand where people walk and cycle now, and where infrastructure investment could strengthen and expand active travel activity. Plan for cycling – devise a cohesive whole network capable of accommodating personal movement at between 10-20mph, using trip origin-destination and route choice data. Plan for walking – in many places people and bikes won’t mix that well, so define key walking zones and required improvements separately. Prioritise – you probably can’t afford it all, so figure out what it will cost and which improvements deliver maximum value for money. Integrate – embed LCWIPs into other local policies, strategies and delivery plans to help secure and allocate funding for their implementation. Start with vision and leadership: If councillors aren’t excited or committed, then it probably won’t happen. In many locations, prioritising cycling and walking necessitates re-prioritising road-space or verges. This won’t be for everyone, and it won’t be for everywhere. Getting key decision-makers on a bike in UK and European locations, where public space for walking and cycle network provision is being well-delivered, illuminates what can be achieved. Resist compromise: The net effect of previously shying away from trickier decisions means a lot of existing routes in UK towns and cities are circuitous and provided where it was easy, rather than where priority and segregation from traffic are required. If your town or city’s desired cycle network meanders towards a series of indirect or compromised routes, then we’d be the first to say ‘don’t waste the money’. Conversely, if you deliver high-profile, high quality, cohesive routes that clearly cater for demand, then evidence of subsequent uptake should offer the proof and political capital needed for continued investment. Involve local walking and cycling groups: In the past many councils seemed to avoid engaging local campaign groups, perhaps because their views on existing networks are uncompromising and (sometimes brutally!) honest. 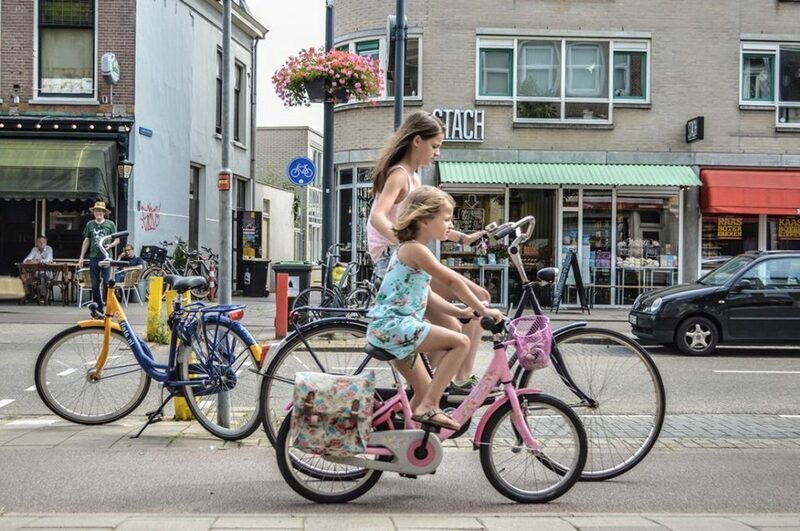 In our experience, working with local cycling communities, to understand how and where people cycle to collaboratively design key pieces of infrastructure, helps secure buy-in and deliver networks that people use. Make a ‘whole network’ economic case: Although oft-criticised, WebTAG offers a mechanism for articulating the relatively low costs and significant economic, public health, air quality and traffic decongestion benefits associated with high quality cycle network improvements. We advocate robustly appraising the potential benefits of a complete network, as well as constituent links. Knowing the total ‘big ticket’ cost for a town or city’s walking and cycling network can inform prioritised early delivery of greatest impact/high priority links, informing the case for using developer contributions and Local Growth Fund monies to deliver links that support growth. Push-through diminishing returns: Once you have delivered a few high-quality, high priority links there might be a temptation to forget about the smaller connectors. Before you do, don’t forget that the value of the whole network will far exceed that of constituent links. Seeing the job through is a critical success factor for developing a cohesive network. Maintain and monitor: Once built, don’t forget about it! Maintaining walk/cycle routes as we do roads is not something we have been great at, but is critical to sustaining an active travel revolution. Designing-in usage counting mechanisms helps understand how your emerging network is being used – helping to make the case for further investment. We know it isn’t necessarily this straightforward, but planning dedicated walking and cycling networks in urban areas need not be science fiction. As the visionary writer HG Wells once said: “Every time I see an adult on a bicycle, I no longer despair for the future of the human race.” Perhaps by working together, and dedicating meaningful budgets to clearly thought-out LCWIPs, we can contribute to that message of optimism. This article is published with the kind permission of Neil Taylor and originally appeared on the Get Britain Cycling website.